Edward Akelman, M.D. 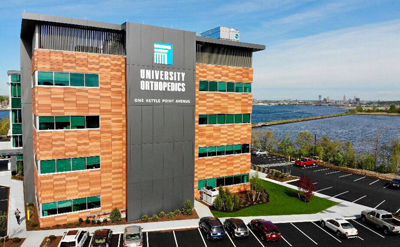 is the Chief of the Hand, Upper Extremity and Microvascular Surgery Division of the Department of Orthopaedics at Rhode Island Hospital. Click here to visit their physician page. Julia Ann Katarincic, MD, specializes in care of the hand and microvascular surgery for children and adults, with particular expertise in pediatric upper extremity problems. Dr. Weiss is an internationally recognized hand surgeon and Professor of Orthopaedics at Brown Medical School and Rhode Island Hospital. Manuel F. DaSilva, MD is an Assistant Professor of Orthopedic surgery at Brown Medical School. Christopher Got, MD is an Assistant Professor at Brown University - Warren Alpert Medical School.